Saying you can’t post a pic or blog with messy cuticles is like telling someone “you can’t be a model because you’re not skinny enough”. What a double-standard jurassic mentality! TheFabZilla is not a nail blog, that’s not my cup of tea. I struggle with nail art, my hands are forever shaky, my nails are damn fugly. But I like painting my nails and blog about it once in a while, just because. I try my best to clean up but what my poor eyesight can’t see, that macro focus exaggerates. TheFabZilla does not tolerate bullying, hatred, crab & crap mentality. Apparently, there is a coalition created by a small group of nitpickers who “make fun”of messy cuticles. At least that’s how I interpret it since the gang leader (admin) said it was done in humor; and that the infamous slogan “clean up or die” should not be taken seriously. Like really? Are You The Anointed One? The Nail Prophet who will save us from hellish cuticles? If you show me tricks rather than poke fun maybe I’d listen. But for now, talk to the hand! You’ve earned my page view but not respect. 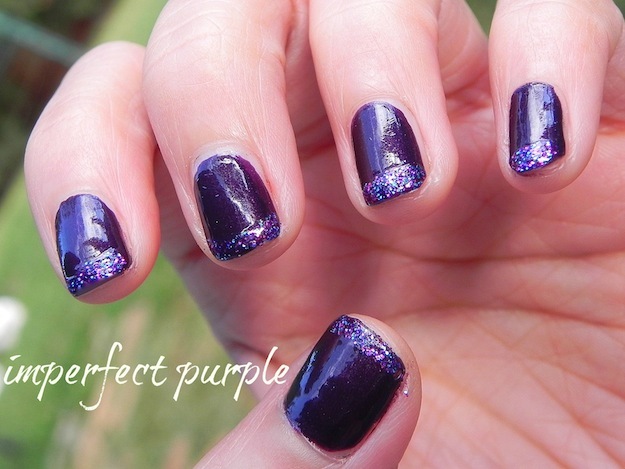 I made this imperfect purple mani in support of NO H8 In The Nail Polish Blogger Community. 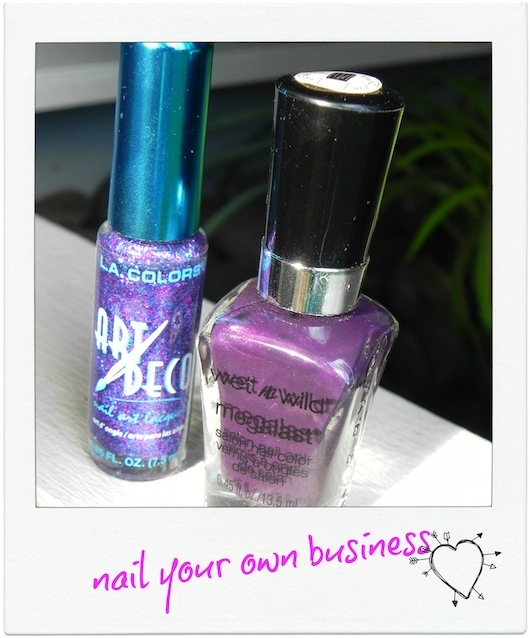 If you are a blogger/vlogger against bullying of all kinds, feel free to link up your purple mani. Read the complete stance here. Previous Post Holiday Gift Idea: What About a Handmade Body Cream? Lovely mani, thxxx for the support! Yay, you're so sweet Kayla! Kisses!!! Great manicure. I'm proud to be standing by your side with my purple nails against this bs. Thanks so much Marcia. I'm glad w/ the turnout of this campaign. I'm happy that even if you and I aren't exclusive nail bloggers, we participated in this endeavor. While I do like to give people the benefit of the doubt.I love this movement because,I do think the attitude of it has to be perfect to blog it is discouraging to new people. Many thanks for your comment. I am glad w/ the immense support from the blogging community. Good always prevails as the saying goes. Sometimes I nitpick myself for now having clear images and silly typo errors, but what can I do ~to err is human. Have a fabulous day!! !